The Boss popped in to make sure we're all working hard! This entry was posted in news on 20th April 2016 by ad-usr-ramk. Thanks to you, our customers, Ramko Hydraulic Cylinders has been growing year upon year. 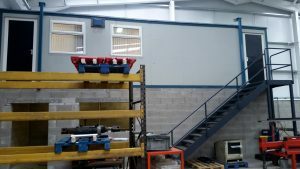 So in order to enable us to continue to improve our products and services we have moved into a brand new, purpose built, state of the art factory - which incorporates our office block and trade counter all under one roof. You are very welcome to call in to view our brand new facilities. 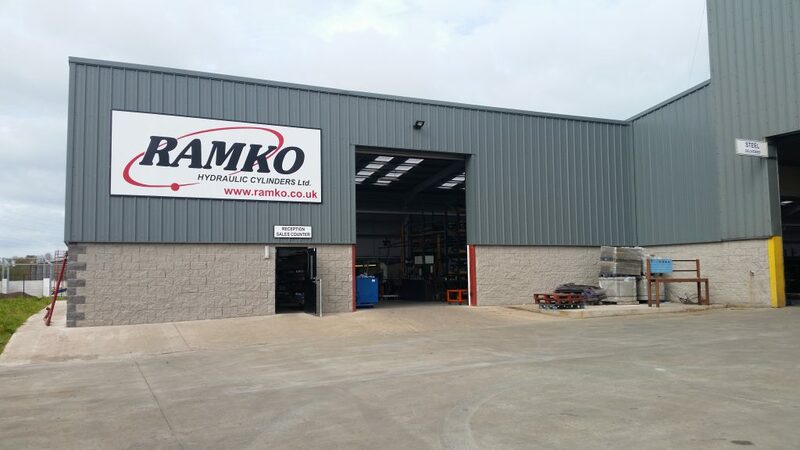 At Ramko we are dedicated to the continuous improvement of both our Products and our Service. Having the most cutting edge technology is great but its not enough, you also need the best, most forward thinking and highly skilled staff. So we are very excited to introduce the newest members of our team. Ramko Hydraulics will be exhibiting at this years Spring Farm Machinery Show, in Fintona Co. Tyrone, from the 28th to the 30th of January. Don't miss this opportunity to discuss you cylinder needs with the UK and Ireland's top hydraulic cylinder Manufacturer - We will be exhibiting in our brand new exhibition trailer, so come along and have a look! This entry was posted in news on 29th August 2013 by ad-usr-ramk. We will be exhibiting at the National Ploughing Championships in Ratheniska from the 24th - 26th of September. This is a chance to speak directly with the top hydraulic cylinder manufacturer in the UK and Ireland - an opportunity not to be missed!! We will follow in August with more details of where exactly to find us. See you there!! This entry was posted in news on 17th July 2013 by ad-usr-ramk. Please browse through our new updated website, some of the new features include displaying our most popular products on our home page, new products available online, a quoting form for bespoke cylinders, and a new section devoted to sub-contracting. We hope this along with new photos and videos will enhance your Ramko online experience! This entry was posted in news on 1st April 2013 by ad-usr-ramk. Ramko Hydraulic Cylinders will be exhibiting at the Spring Farm Machinery Show in Fintona from Tues 22nd Jan to Thurs 24th Jan. This is a great opportunity to discuss your cylinder questions with an experienced Engineer. We hope to see you there! This entry was posted in news on 10th January 2013 by ad-usr-ramk. Ramko Hydraulic Cylinders will be exhibiting at the National Ploughing Championships from the 25th – 27th of September stand number 301. If you are there we would love for you to stop by. It’s a chance to discuss any cylinder questions with one of the top Hydraulic Cylinder Engineers in the country. We hope to see you there! This entry was posted in news on 28th August 2012 by ad-usr-ramk. 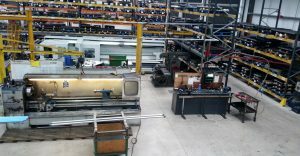 Ramko Hydraulic Cylinders – Yet Another Success Story. Ramko Hydraulic Cylinders have launched the No. 1 online source for hydraulic cylinders to the UK market -www.ramko.co.uk. 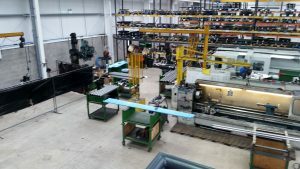 The company supplies a range of Hydraulic Rams direct to the customer, ranging in size from 50mm bores up to 100mm bores, and a push power spanning from 3.8 - 16.5 tonnes. 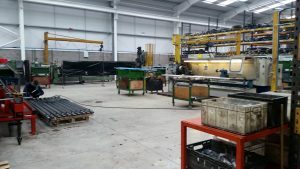 Although Ramko is a relatively new venture, many people will be familiar with their sister company Northern Hydraulics and using the 20 years experience already earned in the industry Ramko are set to go far. Barry Morris, Ramko Hydraulic Cylinders. Barry Morris, the owner of the company first approached Dungannon Enterprise Centre in 2008 with his business idea and began the Go For It Programme. He has since started his business and has been operating for over a year and a half. 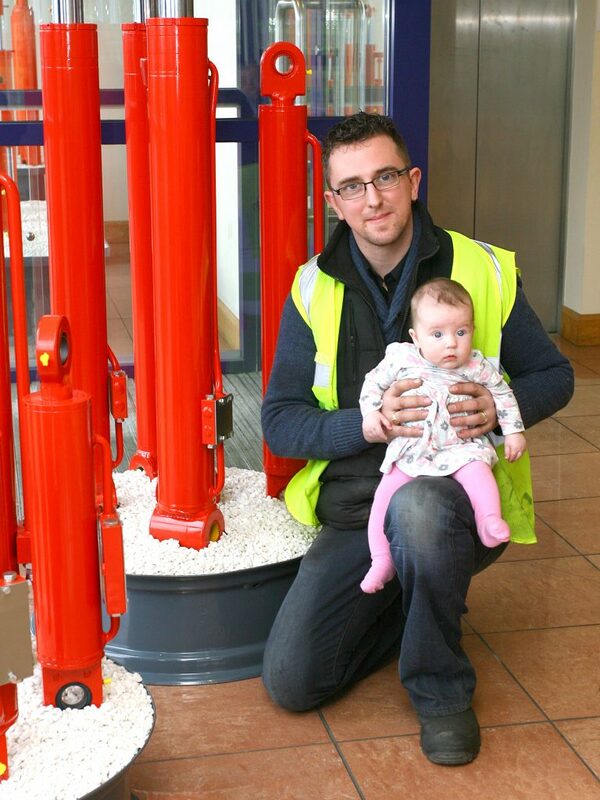 Barry has now progressed onto the Growth Programme and supplies nearly 500 customers. The Growth programme offers advice that’s right for you. The programme is designed for small businesses that have reached VAT turnover and are looking to succeed in the business world, and the programme is FREE to all. Dungannon Enterprise Centre aims to help small businesses like Ramko reach their true potential, it offers all kinds of expert advice, helping you to fulfil your ambitions and take your business forward. The Enterprise Centre has experts in a number of different fields, from marketing and finance to employment law and customer care. They have the knowledge to make your business grow. Dungannon Enterprise Centre offers a range of programmes for individuals and businesses considering changes in the future. The support reaches across every stage of the decision making process from those who have only just began considering setting up their own business to businesses that have been operating for years. Barry has worked hard with the centre over the past two years taking his business from the idea stage, through planning and initial set up and now is experiencing the rewards created through the growth of his business. So, whether you need help with your finances or taking on new staff, or you’re looking to promote your business and find new markets, the Enterprise Centre can offer the advice that’s right for you, right now. Your business can grow, if you talk to those who know. Barry has experienced a lot of success since Ramko Hydraulic Cylinders was established and has many plans for further growth in the future. He intends to continue to make full use of the resources within the centre and would recommend people considering making this move speak to the advisors available in Dungannon Enterprise Centre. For further information or advice on how to begin contact Alanna or Esther on 028 877 23489. And the best part of all... It’s completely FREE! This entry was posted in news on 29th June 2010 by ad-usr-ramk.